We have a very healthy and happy and ADORABLE new addition...Jack Richard!! I will be sharing some photos of him soon. Here is today's prompt! Journal Prompt: What are some of your goals for July? Remember to make about 3-5 attainable goals. I can't believe it's almost July already! 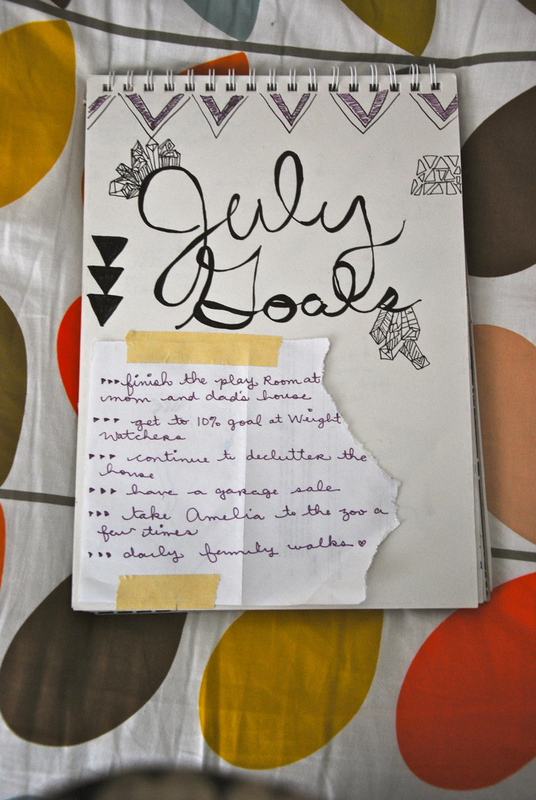 I had written out a list of goals that I had for July on the back of a piece of "junk mail" and had been carrying it around in my bag for about a week. I then decided that I wanted a more permanent place for my list of goals so I created a pretty page and taped it in!!! Congrats on your new nephew!! I love his name, Jack is one of my fave boy names and Richard is my hubby's name. You must be so excited to spoil a litle boy, enjoy it!! How inspiring you have been with your prompts this month. Love that you carried around that note then finally put it in your journal. I have two prompt ideas to use after June is over. 1. A list of anything you collect and even why you collect them. If you don't collect then sorry this couldn't help you. 2. A blog friend of mine suggested I use my RIGHT NOW list as a prompt, LOOOVE THIS IDEA!! I like doing these little posts to remind me of what's going on RIGHT NOW in our life because some weeks it totally changes and I forget these little things. Thanks again for the fun ideas. 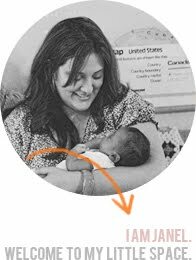 Welcome to the world, Jack! How wonderful! Thanks for still taking the time to post a prompt, Janel. You rock.